The fortified town of Dubovac occupies a prominent position above the Kupa river, on the north-western periphery of the inner urban area of Karlovac. It consists of three circular towers and a rectangular one, the so-called defence tower. The stone fortification was built on an elevated prehistoric mound, which extends in the east into a raised plateau on which the remains of the mediaeval church of St. Michael can still be discerned. Historical sources suggest that before the end of the 14th century Dubovac came into the hands of the Zudar (Sudar) family. In 1442 Dubovac was leased to the Duke and Viceroy Stephen Frankopan, but soon thereafter it became the full property of the Dukes of Krk – the Frankopans. They remained the owners until the mid-16th century, when it became the property of the Zrinski family. The first archaeological test excavations at the Fortified Town of Dubovac were carried out as far back as 1958. 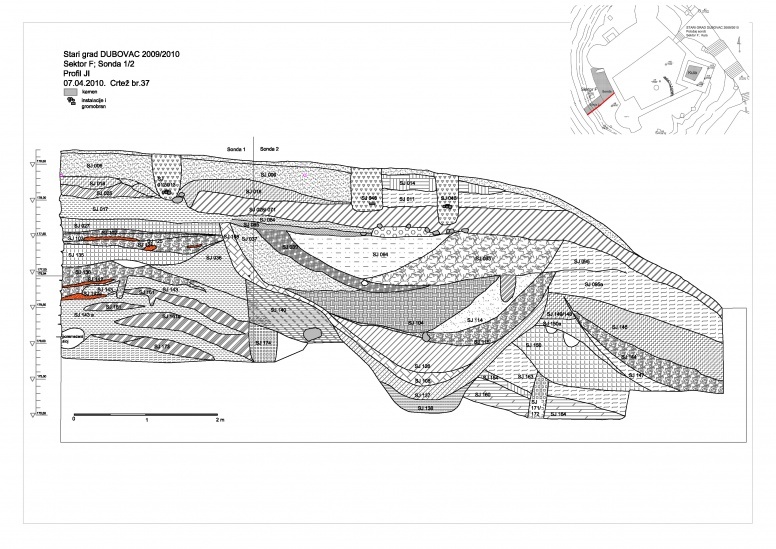 Subsequent salvage investigations for the purpose of drainage and improvement of the state of the fort were carried out by the Karlovac Municipal Museum (2001, 2004, 2008), resulting in the discovery of a mediaeval moat and finds from the Eneolithic, Late Bronze Age, the beginning of the Iron Age and from Antiquity. 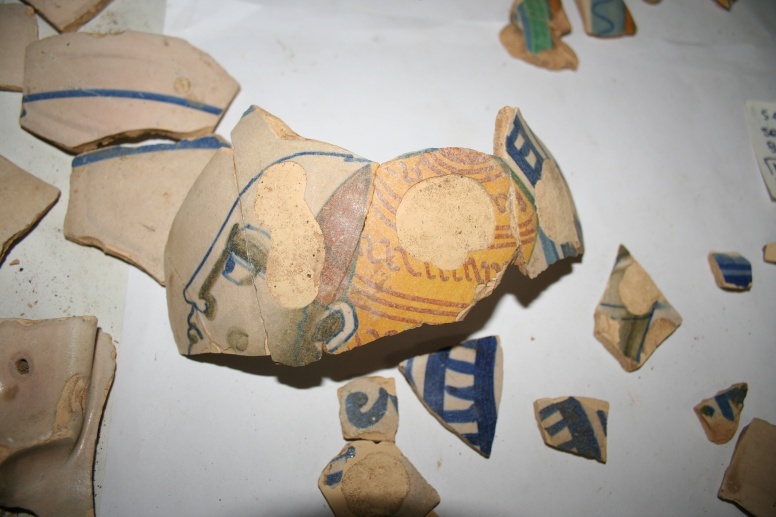 The investigations by the Institute of Archaeology ascertained that during the Late Bronze Age the position was used as an elevated settlement. The research resulted in the discovery of a peripheral part of the Late Bronze Age elevated settlement (reinforced with carbonized planks and burnt earth) with a rampart and an earthen bank, adjacent to which the excavation uncovered the remains of a house dated back to the very end of the Late Bronze Age. The mediaeval moat transected the late mediaeval layer of the 14th century, telling us that it had been built towards the end of the 14th century or during the 15th century. 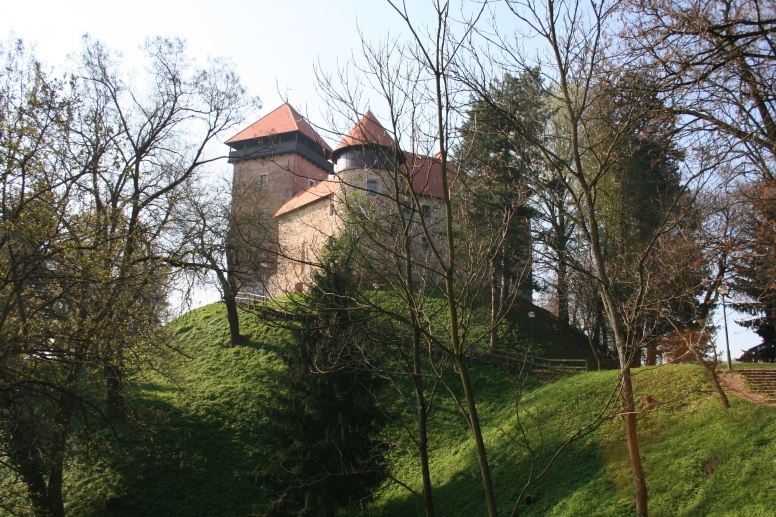 At the time the Dubovac castle acquired the form in which we know it today, that moat had already lost its function, since by that time it had already been backfilled and the existing architecture built on top of it. It was ascertained that a late mediaeval rampart was built at the edges of the prominent Dubovac hillfort, reinforced with timber palisades consisting of wooden stakes, presumably with pointed tips, set vertically into the ground, or perhaps obliquely to face the expected enemy. The modern-period Renaissance castle was therefore built atop an older mediaeval fortification, which was in turn built on a prehistoric hillfort.